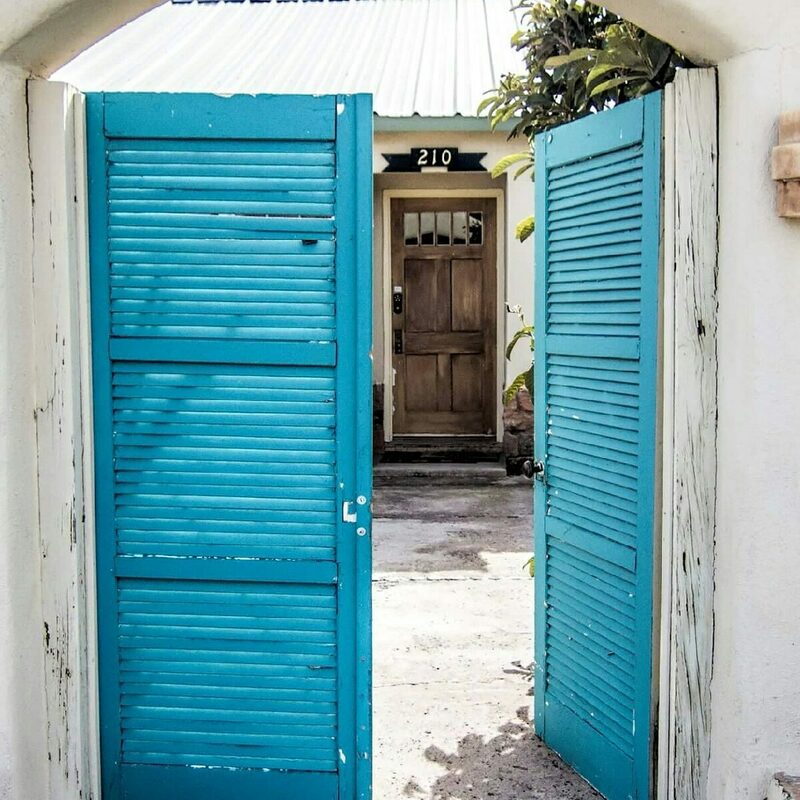 Walk through antique turquoise gates and you have arrived at the Blue Agave Bungalow to enjoy private moments completely enclosed behind adobe walls. Have your breakfast and coffee while sitting in the glider on the front patio to take in the mountain air. You are enveloped by a landscape of pecan trees, yucca, ocotillo and an amazing blue agave. This most inviting 2 bedroom home features 2 baths – one with a romantic claw foot tub and the other with double walk-in shower. Along with the full kitchen, dining area and backyard patio with grill, you may find it hard to leave this amazing home that is a destination in itself. The Blue Agave Bungalow vacation home in Fort Davis, Texas has 1,300 square feet. The living room looks out onto a private walled courtyard. The dining area is large with pine floors and French doors that open to a second patio. The kitchen has new cabinetry with tile counter tops, a dishwasher and views to a courtyard. The entire property is enclosed by hay bale or stucco walls to provide security for animals, children and privacy for all. Pecan and cottonwood trees shade the yard. No smoking allowed inside the Bungalow. Smoking allowed on porch only.